GOP Sen. Lindsey Graham, R-South Carolina, voiced his intention on Monday to use his authority as chairman of the U.S. Senate Judiciary Committee to investigate the allegations and stories of bias against President Donald Trump now that Special Counsel Robert Mueller’s investigation is complete. While the report revealed nothing damaging to the Trump administration, the rabid Democrats in both houses of Congress insist that there was illegal and treasonous activity between President Donald Trump and the Russian government. “Mueller’s report into the Kremlin’s interference in the 2016 presidential election did not find that the Trump campaign or anyone associated with it conspired or coordinated with Russia,” wrote Attorney General William Barr in a letter to Congress. 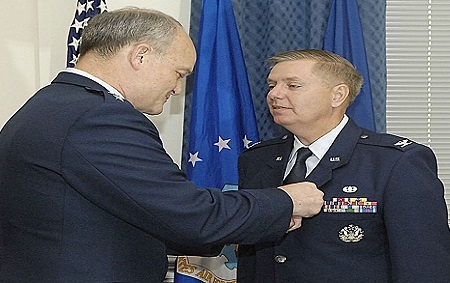 Sen. Graham has stated in several interviews that the real suspected collusion during the 2016 presidential election cycle had to do with the Democrats and the Clinton campaign using foreign agents, such as former MI6 spy Christopher Steele and his Russian connections, to sabotage Donald Trump’s campaign. and when he won the election, to thwart his taking the oath of office. Besides Sen. Graham’s plan, one of the nation’s top public-interest law firms announced Monday that its team of investigators and attorneys uncovered 422 pages of FBI documents revealing actual evidence regarding talks regarding a “cover-up” related to Hillary Clinton’s infamous email system within Platte River Networks, one of the vendors who managed the Clinton email system. Many law enforcement officers who spoke to Conservative Base have acknowledged their belief that Clinton intentionally conducted business using an unauthorized email server to avoid her exposure in a number of criminal acts or episodes of unethical actions by her or her State Department staff or campaign minions. All records of communications between any agent, employee, or representative of the Federal Bureau of Investigation regarding, concerning, or related to the aforementioned investigation. “This request includes, but is not limited to, any related communications with any official, employee, or representative of the Department of Justice, the Executive Office of the President, the Democratic National Committee, and/or the presidential campaign of Hillary Clinton,” according to a Judicial Watch press statement. It also demands the release of all records related to the meeting between Attorney General Loretta Lynch and former President Bill Clinton on June 27, 2016. The media narrative of that meeting on the airport tarmac in Arizona is that they both happened to be at the airport at the same time, but only discussed personal family topics and not the fact that while Lynch and Bill Clinton chatted, Hillary was being investigated by the Federal Bureau of Investigation (FBI). 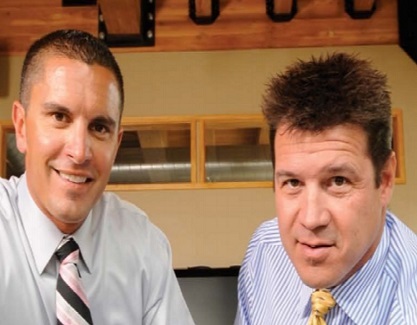 Platte’s Treve Suazo, CEO, and Brent Allshouse, CFO. thought that they were linking their fortunes to the next president of the U.S. when they agreed to “handle” Hillary’s secret server. Just think, being “in business” with the (in)famous Hillary Clinton – the First Lady – the Senator – the Secretary of State – a multi-millionaire – and perhaps the next president – wow, what good fortune! Meanwhile, handwritten messages from Platte River Networks in February 2016 mention questions concerning the Clinton email system and state of back-ups The documents show Platte River Networks’ use of the now famous BleachBit to “clean up[” the Clinton server. The BleachBit program was downloaded from a vendor called SourceForge at 11:42am on March 31, 2015, according to a computer event log, and over the next half hour, was used to delete the files on Hillary’s server. 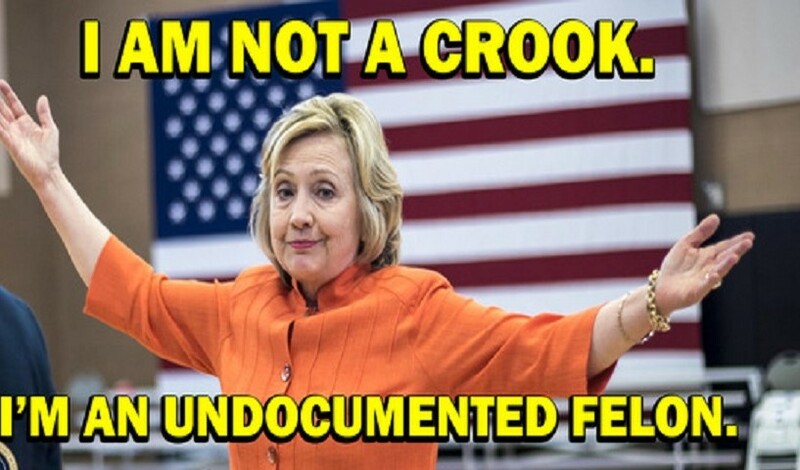 “Judicial Watch uncovered new ‘cover-up’ records on the illicit Clinton email system that further demonstrate the sham nature of the FBI/DOJ ‘investigation’ of her,” Judicial Watch President Tom Fitton said in his statement. “These shocking new documents show that various Obama agencies were protecting Hillary Clinton from the consequences of her misconduct. It is well past time for the DOJ to stop shielding Hillary Clinton and hold her fully accountable to the rule of law,” demanded Fitton. 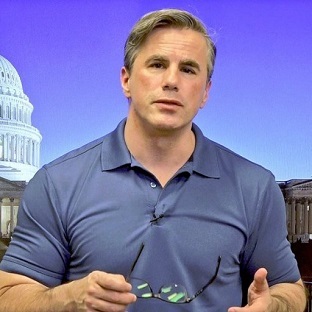 According to Mr. Fitton, who appears regularly on One America News Network (OANN), Judicial Watch is currently conducting depositions of senior Obama-era State Department officials, lawyers, and Clinton aides.